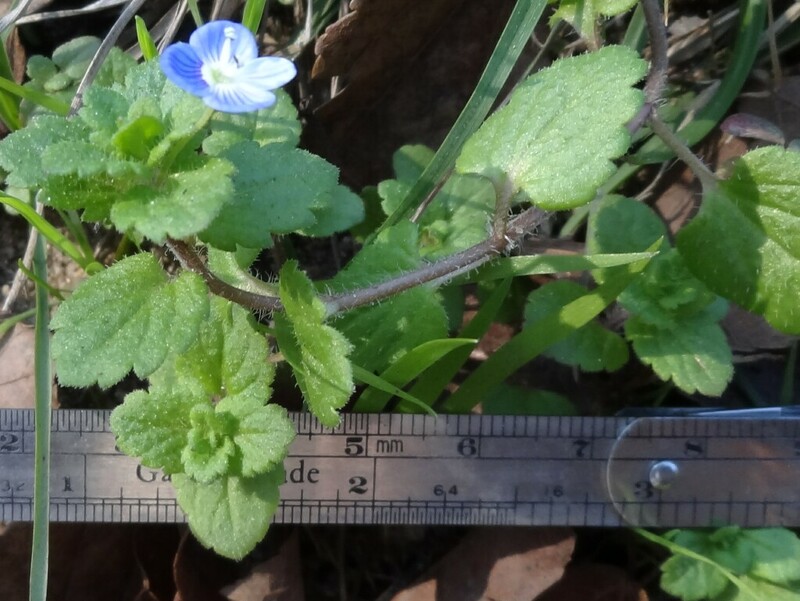 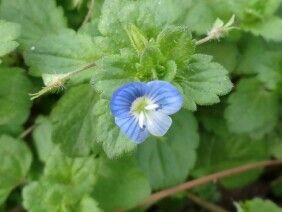 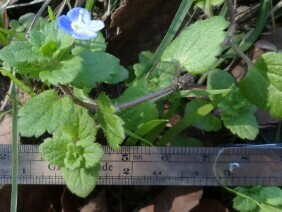 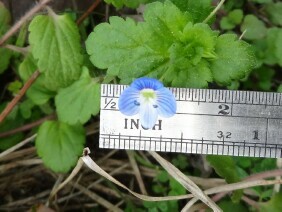 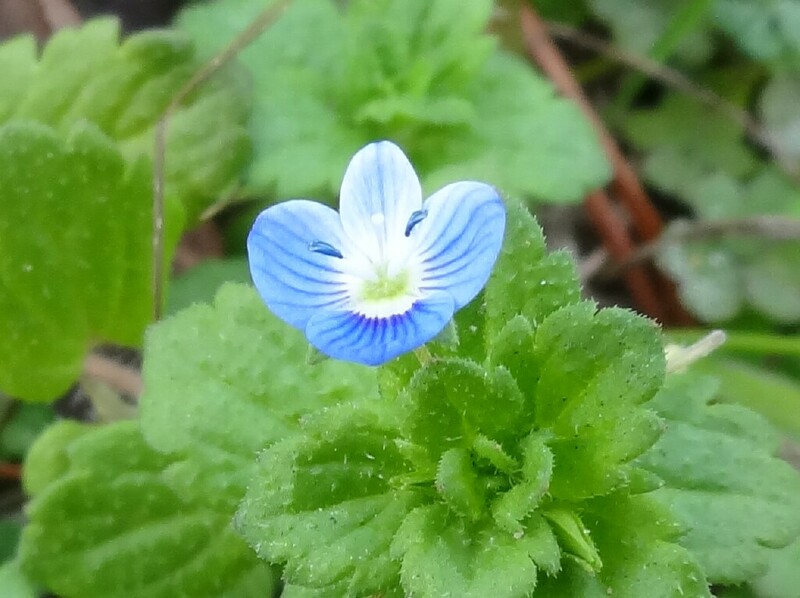 Birdeye Speedwell, also known as Persian speedwell, is a member of the Figwort family. 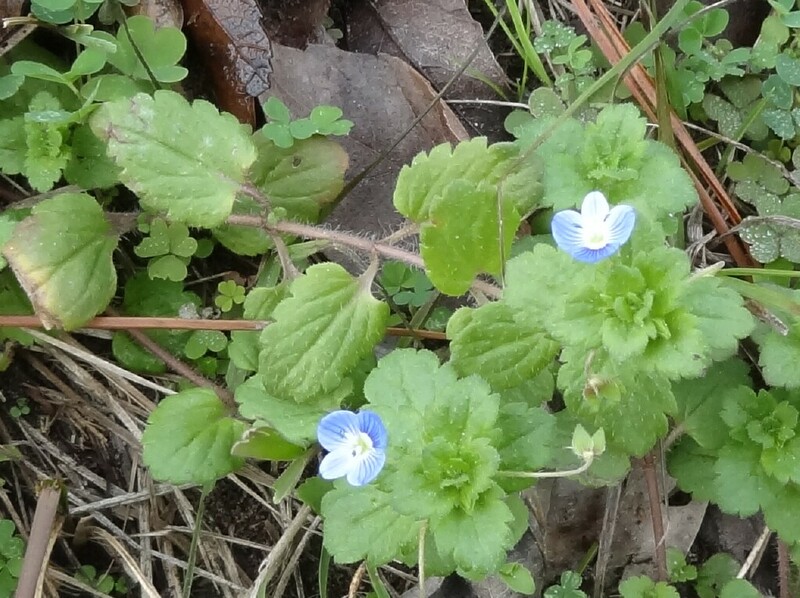 It is a native of Europe and Asia, where it has been used medicinally. 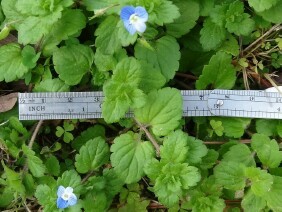 It is now widespread in North America. These plants were photographed along Highway 43 near Axis, in North Mobile County, in early January.